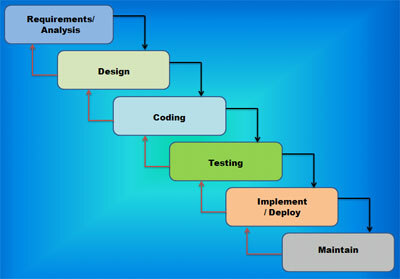 Software engineering is the practice of using selected process techniques to improve the quality of a software development effort. Each enterprise brings unique challenges to the development process. The majority of the development Acendion Consulting Services undertake cannot be fit into any single methodology or protocols. Hence there are many methodologies used by Acendion Consulting Services tailored with client needs. The waterfall model is a sequential development process, in which development is seen as flowing steadily downwards (like a waterfall) through the phases of Conception, Initiation, Analysis, Design (validation), Construction, Testing and maintenance. The agile method emphasizes face-to-face or telephone contact between the developer and business experts rather than written documentation.� Working software, rather than progress reports, communicates success to the client during the development process.